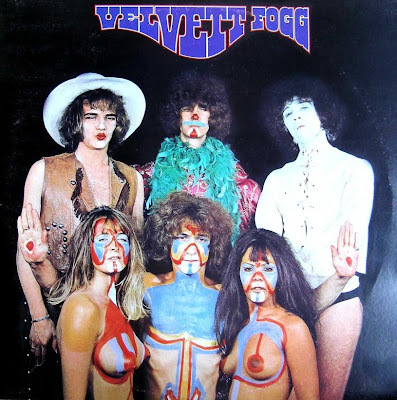 Complete with sleeve notes from John Peel came Velvett Fogg with a blend of their own compositions, like Yellow Cave Woman, The Delicate Wizard Of Gobsolob and Once Among The Trees, the story of a chase with strong sexual overtones. 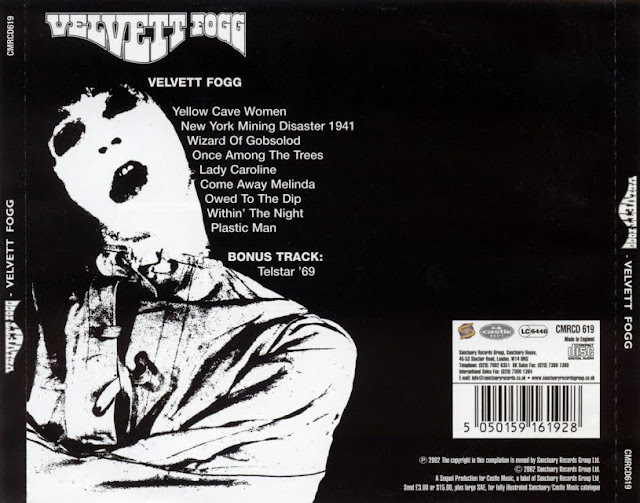 Plastic Man, a comment on politicians, and Owed To The Dip, an organ-dominated instrumental; and their own interpretative cover versions of The Bee Gee's New York Mining Disaster 1941 and Tim Rose's Come Away Melinda. Worth a listen, but don't pay a lot for it. Paul Eastment was later in Ghost. Organist Frank Wilson was a founding member of Warhorse. Oleg, any chance of an upgrade to lossless on this one?